C. G. Jung believed that the Grail quest revealed the divided soul of our time and its path to radical renewal and healing. We shall explore this story and its rich symbols in order to be touched by its sources of transformation. In learning about this myth in an experiential way, we shall learn about our own sacred journey. From T. S. Eliot to film, the Grail legend has continued to stir the psyche and inspire. A king is sick. A once-fertile country is turned into a wasteland. A Grail holds the promise for healing. As a source text, we shall use the classic work by Emma Jung and Marie-Louise von Franz, The Grail Legend. Added to this shall be an array of poets, including T. S. Eliot and Ted Hughes. Our Grail round table will have an invitation to some reading, though all that is required is to show up with a willingness to learn the questions of the quest. Mark Napack, M.A., S.T.L., M.S., first studied the Grail legend as a student of comparative literature at Columbia University. From there, he went on to study Jung, psychology and the history of religion at Fordham, Loyola and Catholic Universities, from which he received various graduate degrees. A long-time teacher and presenter, Mark has a special concern for areas of psychology and spirituality and an ongoing involvement with the Collected Works of Jung and Jungian classics. He has presented at international conferences and published in scholarly publications. 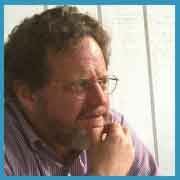 Mark Napack, LCPC is also a Jungian informed psychotherapist in North Bethesda, MD.